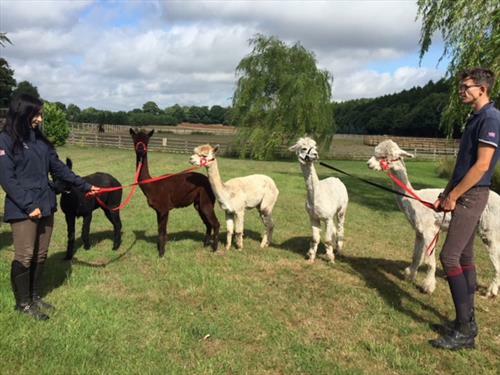 Fun job working with horses and alpacas which includes being a team walking guide. Applicant must like animal have some handling experience of horses. Able to communicate with clients and prepared to learn the history of the Alpaca to discuss with customers. We walk in all weathers so applicant must be an outside person happy working and walking in all weathers. Full training is given to the handling and walking of animals. Hours will include weekends hours 8am to 5pm. THIS IS A SERIOUSLY FUN JOB............................. Wages depend on age, experience and ability to communicate with customers. Must be able to work most weekends. Join a new venture with a professional team. Opportunity for promotion for the right applicant after 6 months. 12 stables private yard, ménage , cross country course, 40 acres.